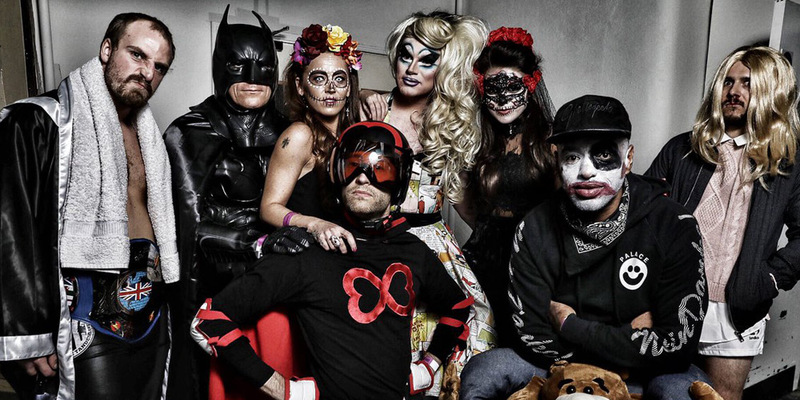 Some Forever Manchester fundraisers have taken raising money from social events to a whole new level, by hosting big events for the wider public to get involved in. 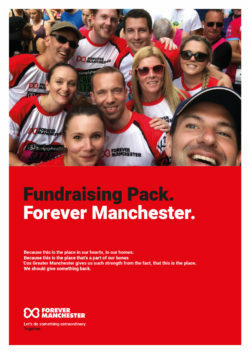 For businesses, this tends to take the form of selecting Forever Manchester as their charity partner for an event or awards-type ceremony. Again the execution of this is pretty easy. a few words at the event or supplying information for the event programme. 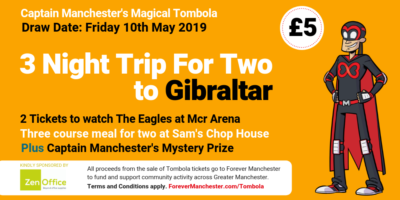 And to help raise money, our Captain Manchester’s Magical Tombola tickets have been hugely popular too. Your guests simply buy a £5 Tombola ticket on the night of your event for the next draw, and as we have portable card processing machines it makes donating easy – and naturally we’ll be on hand to help sell them too. For us, it benefits us in three ways, firstly we raise money, secondly we have the opportunity to meet with new businesses and finally the guests have something to take away with them so they can find out more about us. Events like this also lend themselves nicely to an auction, so have a think about who is in the room and the types of things they are likely to bid on. Then pull in a few favours to get some fantastic auction items helping to maximise profit. Outside of awards ceremonies and the like, individuals and businesses have also organised lots of cool fundraising events for us. Some have arranged events where people connected on social media have been given the opportunity to meet up in person, others have arranged ‘themed nights’ whether that be hosting a cinema night, screening a big sporting event, hosting a golf tournament or organising events around the holiday periods, be that a Xmas Party, Halloween Event, Bonfire Night, Easter Egg Hunt or mini-music festival or gig. Naturally these bigger events need a bit more organising, so our staff at Forever Manchester are here to assist and advise where we can. We have a number of contacts that we can introduce you to, should you need to find a suitable venue or if you need specialist audio/visual equipment. And of course we can share our own experiences of hosting large-scale events, to help you run a safe and successful event for us. Also have a think about all the different types of skills you’ll need, and bring together friends, family, colleagues and contacts who can help give you a hand. So if you do want to go big for Forever Manchester, please contact us first and let us know what your ideas are. Then we’ll do something extraordinary together.